The display is composed of eight educational elements that offer a fun, self-guided tour throughout the building’s historic rooms and highlight some of its unique features, including how the Cahoons lovingly adapted it for their use as a gallery, home, and studio. The stately Colonial Georgian home, the Crocker House, has an intriguing multilayered history. It first served as the residence of Zenas Crocker of Cotuit. In the 19th century the house operated as a tavern and an overnight stop on the stagecoach line between Sandwich and Hyannis. In 1945 the home was purchased by Ralph and Martha Cahoon and in 1984 the building became the Cahoon Museum of American Art. 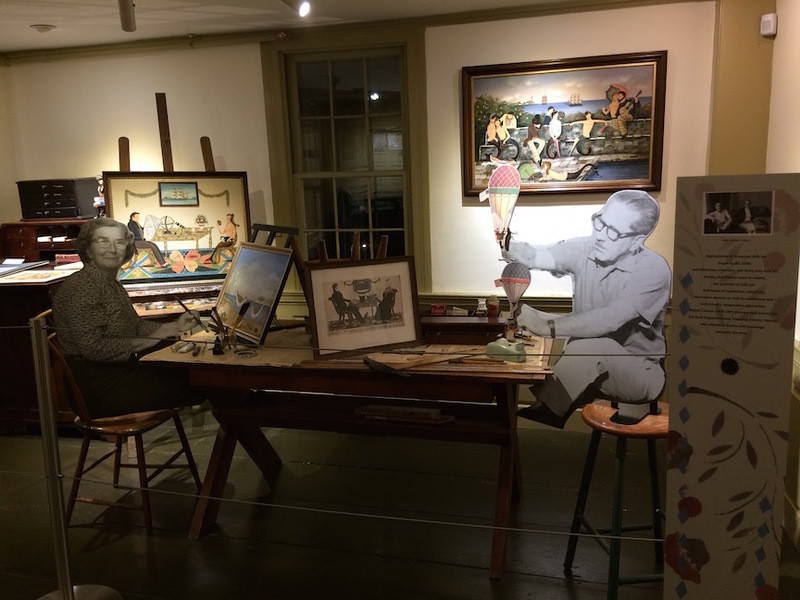 The Museum preserves the building, the Cahoon legacy, owns a notable collection of American art, and displays historical and contemporary rotating art exhibitions. By interweaving and highlighting this historical and artistic history, the Hands on History display uncovers some of the fascinating stories hidden in the building’s interior. These include how the second floor rooms can be quickly converted into a dance hall and the secret location of a beautiful seaside mural that Martha Cahoon painted for their son, Franz, which has been hidden behind a wall panel for years. Hands on History: The Cahoons and the Crocker House interpretive display, supported by a grant from CARE for the Cape & Islands. It was designed by Mary-Ann Agresti, AIA, of The Design Initiative in Hyannis.